Plain Text or HTML Emails? With Simplelists you have the option to send emails that are plain text or HTML. So which should you choose? The answer, as with so many of these questions, is ‘it depends’… on the purpose of the email that you are sending. 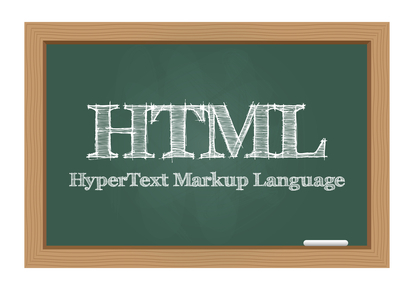 In some circumstances HTML will be the best choice and in others plain text will be preferable. The main advantage of HTML emails is that they can look great – you can include colours, pictures, nice fonts and a pretty layout. This means that your email can have visual impact and reading it can be a pleasant experience for the viewer. You can create a professional image. It can also make the email easy to skim – emphasis can be placed on important points so people receive the important information at a glance. You can effectively steer people towards a ‘call to action’ by highlighting it in a manner that makes people want to click. You can include logos for your company or organisation, making the email instantly recognisable while increasing the visibility of your brand. It is also possible to include social media buttons that lead to your Facebook, Twitter or Google+ pages, therefore increasing the reach of the email beyond a single ‘call to action’. Tracking can also be made possible in HTML emails – you can include code to track open rates for the email and click through rates for links within the email. Using templates can hurt your engagement. People get hundreds of emails every week and sort through these, cutting out the irrelevant ones. Most of these irrelevant emails will be made from HTML templates and people subconsciously associate the layouts of these templates with spam. 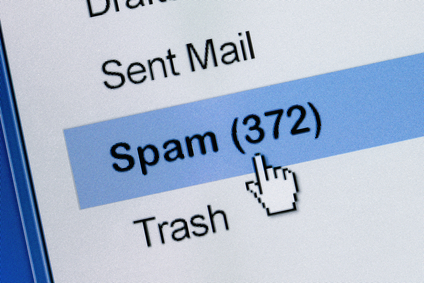 More often than not, people send templated emails to the recycle bin, or worse, the spam folder. In fact, for templated emails if 4% of people who receive the email click on the ‘call to action’ it is seen as a huge success! This excellent blog post gives more detail. So, it is best to avoid email templates and create your own HTML emails which can be unique enough to be different from the templates. This takes us to the next point: you have to have the ability to use HTML and CSS code to create the email. Now HTML and CSS are pretty straightforward but there are some unique points when it comes to emails, because unlike web pages which are read directly in the browser, HTML emails are read in an email client, and each email client is a little bit different. However, by following a few basic rules it is possible to make HTML emails that look consistent across email clients. Another issue is time – plain text emails can be written in a few minutes but creating a high quality unique HTML email will take longer, possibly a few hours. Personal emails are plain text and people are used to receiving plain text emails – therefore people are more likely to read them compared with HTML emails. They are also very quick and easy to write and with Simplelists you can write a plain text email and send it to your whole list in a few minutes. As you’d expect there are downsides – effectively all the pros of HTML emails are not possible with plain text. You can’t make social media buttons, include a logo or use a distinct layout in a plain text email. You also can’t track open rates with plain text emails (although it is possible to track click through rates). So, there are pros and cons to both plain text and HTML emails and you should consider these when deciding which one to use. A good compromise can be to make an HTML email that looks very similar to plain text but that contains the features that you want, such as a social media buttons, a logo and a subtly highlighted ‘call to action’. This way you’ll get the benefits of the personal feel that a plain text email has but with the added advantages that HTML emails can bring. Above all, avoid HTML email templates as they are likely to be trashed or sent to the spam folder! In our last blog post, we explained that your email delivery rates might be reduced if your list members report your emails as ‘spam’. A feature of Simplelists is that we enable the members of your list to engage easily in private group discussion with one another. So, it’s important that your emails get opened and that your members don’t mark them as spam before doing so, whether accidentally or not. One way to ensure that list members open your email and are sure that it is from a recognised, trustworthy source, is to make sure you have a good email subject line. Short is sweet. 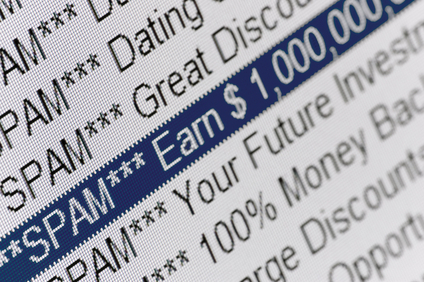 It is worth bearing in mind that the average email client can display between 38 and 47 characters in a subject line. A study carried out by Return Path in 2006 found that “click through rates for subject lines with 49 or fewer characters were 75% higher than those with 50 or more”. So, brevity is probably best. Resonate with your readers. Content-related subject lines that ‘hit home’ with your readers will work better than something more general. You could consider using a teaser: ‘This month: Is it worth buying organic?’ might be more tempting that ‘August newsletter’. Avoid spam ‘trigger words’. Email clients generally have inbuilt mail filters to automatically file messages in the spam folder. Words like ‘video, trial, sample, mortgage’ are examples of potentially problematic choices. You can study lists of spam words and you can also use websites like EmailSpamTest to test the likelihood of your email being filed as spam. Avoid repetition and add a dash of intrigue. It’s always a good habit to avoid repeating a subject line you used before, even it worked really well previously. Give people a reason to open the email by focusing on something that ‘whets their appetite’. Use something memorable or funny to catch their eye. Personalise and localise. There is always an element of ‘what’s in it for me’ when ruthlessly scanning an inbox full of messages. A study carried out by Experian in 2013 found that personalising emails by using words like ‘you’ and ‘your’ in subject lines may help to boost open rates. Mentioning a place can also help to focus people’s attention. Finally, make it clear who you are in the ‘From’ line. With Simplelists, you can send your email from your own email account , directly to the list address. Check that your name/company name is displayed clearly so that your members will immediately remember who you are and why they subscribed to the list in the first place. 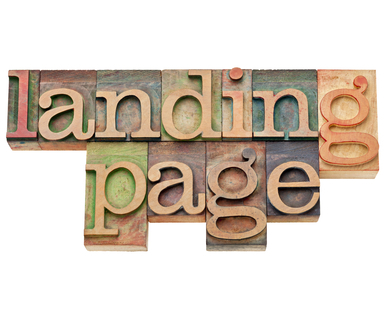 Creating The Perfect Landing Page. This is pretty obvious but is something that people get wrong far too much! The landing page should be specific to the email that you’ve sent – visitors will be looking for information related to the email and if they land on a general home page then you’ll lose them. The headline will be the first thing that visitors see when they click through. It should be close to the top of the page and large enough to be obvious and also be concise and catchy. It should also inform people that they have landed on the correct page by matching the content of your email. Pictures create an impression quickly, add colour and style to your page and encourage people to read the content. The main image should be high up the page so that people don’t need to scroll to see it and should be relevant to the page content. Remember to include ‘alt tags’ for your images so that sight-impaired people’s screen-readers will pick up on them. If the main content of your landing page is video based then there is no need to include a picture as well – that would just serve to distract. It can be a good idea to include a brief introduction to the video – just a couple of sentences to encourage people to click play. A written summary of the video can be a good idea too as some people will prefer to read/scan rather than watch video. Think about the image that you’re trying to portray and match your colours to this. It can be a good idea to look into colour psychology when you’re doing this. People associate different feelings with different colours, for example blues are associated with trust, wisdom, confidence and stability while reds are associated with energy, strength, passion and desire. Also consider colour contrasts – avoid those colour schemes that make people’s eyes bleed! People are more likely to scan than read online, so breaking your text into bite-sized chunks with clear headings is a good idea. Not many will read a long block of continuous text. Decide what you’d like visitors to do… maybe you want visitors to view your special offers, subscribe to your service or buy a product. Whatever action you’d like people to take, make it clear and easy for them. Give the page a relevant Page Title Tag, URL and Meta Description. This will help search engines and can also improve click through rates from emails as people can see that the link has a trustworthy address. Ideally the landing page can be viewed on all kinds of devices, from widescreens, to laptops, to tablets and smart-phones. A responsive page is best but if this is not possible at least make sure that the page works on phones and tablets. This is especially important if you want visitors to fill in a form or make an online purchase. Simplelists has a feature which allows you to insert members’ names into the group emails that you send. We’ll jump straight in and tell you how to do it and then discuss why it’s useful and when it is important to include a person’s name. 1) First you need to activate this feature for your Simplelists account – just send an email to support@simplelists.com requesting to ‘activate the insert names feature’ and we’ll activate the feature for your account. You can also tell us your preferred default option which is used if the member’s name is missing from their details in your address book – for example ‘Member’ or ‘Customer’ could be chosen as a default. 2) Simply add $FIRSTNAME to your email where you want the members first name to appear and $SURNAME where you want their last name to appear. That’s all there is to it – each member will receive a personalised version of the email that includes they’re own name. What if a member’s name is missing from their details? Don’t worry – if a member’s name is missing from your address book and you have let us know your preference for a default it will revert to the default setting in place of their name. Personalisation of emails is becoming increasingly important for email marketing. Mail clients like Gmail are now showing the first 15-20 words of emails in the inbox before emails are opened. 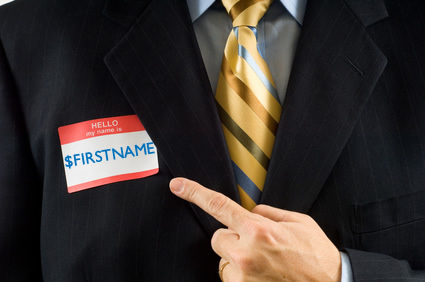 This means that, at a glance, people can see whether an email addresses them in person or not. If you don’t include a person’s name in your email and they don’t instantly recognise you as the sender it’s quite likely that they simply won’t open your email. Stats from 2012 show that emails with personalised subject lines were opened 22.2% more frequently than those without (email marketing stats) – this is likely to be even higher now. For these reasons, we’d recommend that you use the ‘insert name’ feature in all email marketing emails and in any email where you think that the person receiving it might not instantly recognise the sender. The reason that these super-sites are so useful to retailers is that they increase the visibility of products that would otherwise never be found online. For lots of small online retailers, eBay and Amazon get their products sold while their own websites are lost in obscurity on Google’s search results, never to be found. The number one disadvantage of selling on large shopping sites is the cost imposed by the site: a seller can expect to pay in the region of 20% in fees to eBay by the time they include Paypal fees and Seller Fees. With Amazon the costs are even higher – more like 25%! eBay sellers are effectively tied to using Paypal and this can come with problems. For example, Paypal regularly holds a merchants balance for several days, preventing them from withdrawing funds while they carry out routine checks. This can occur at short notice and could be a real hassle for small businesses if their cash-flow is stopped when employees’ wages are due. eBay and Amazon show many different sellers’ products alongside each other – this can be a bad thing for sellers that have a regular customers who keep on coming back as they may end up buying a competitor’s product instead. So, if you are an online retailer, it can make sense to use eBay and Amazon to get new customers but then to channel returning customers to your own website. But it’s against the terms and conditions of these shopping sites to advertise or even mention your own website – if you do that you could end up getting banned from the site altogether. However, there is nothing to stop you from emailing your customers independently and including details of your own website in the email. When a customer makes a purchase via Paypal or credit card they’ll almost always include an email address. The customer will be expecting to receive emails from you since they have just bought something from you – this can be a good time to convert a new customer to a returning customer. It is also an excellent opportunity to direct that customer to your own website… add them to your email list right away! 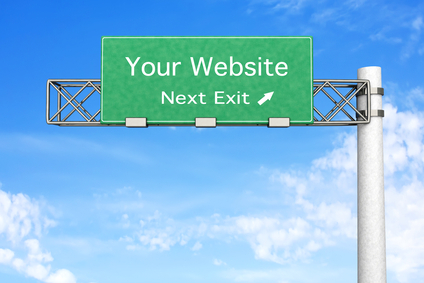 Here are some methods that can be used when trying to channel customers to your website. Offer the same products at a slightly cheaper price on your website than you do at the large shopping sites – without the expensive fees you’ll still increase your profit. Advertise these products in your email newsletter. Offer some products exclusively on your website – people will be more likely to browse your website if they know that there are products that they can’t get anywhere else. Include the details in your emails to customers. Provide special offers exclusively on your website an let your customers know via email. You have probably noticed that these methods generally involve some incentive for your customers to change their regular shopping behavior. If you do this regularly their first stop will be your own website rather than a shopping site like eBay or Amazon.